The BPCC is Bersa's first polymer frame handgun, and is specially designed for concealed-carry personal protection. 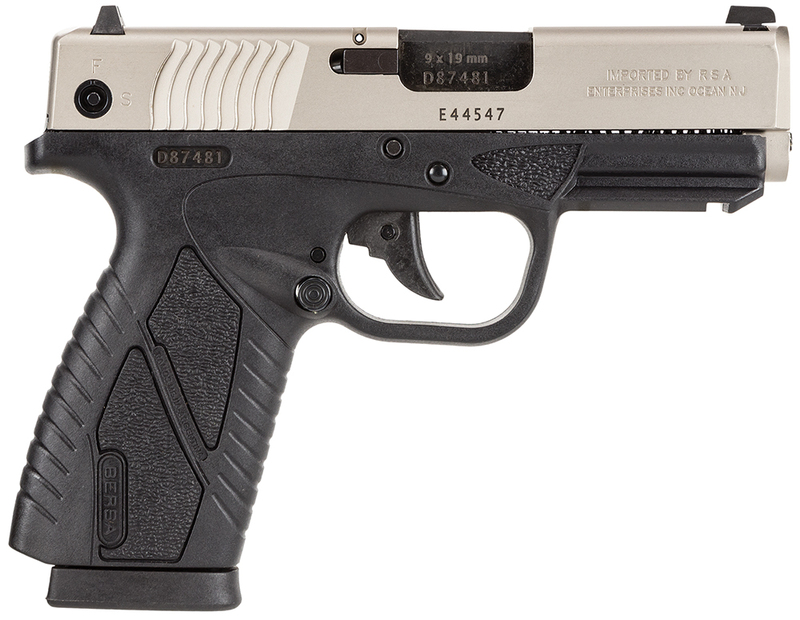 The BPCC provides accuracy and fire power in a lightweight, compact, ultra thin handgun. The frame has a Picatinny rail for easy mounting, an integral locking system, and ambidextrous controls for easy handling. Its slide features a 3-dot sight system for the perfect sight picture. The micro-polished bore is ideal for accuracy and has sharp, deep rifling. This model is chambered in 9mm and has a nickel slide and a black frame.